Willow Court is a supported living scheme in Benwell, Newcastle, with 15 supported flats. The site also includes 14 general needs family homes. The £3m scheme is owned by Karbon Homes, but forms part of Newcastle City Council’s Housing Partnership Framework to provide affordable housing. Karbon was chosen to deliver the new homes by Newcastle City Council, which identified the site as part of its commitment to providing more affordable supported housing for adults with learning disabilities within the city. Willow Court was designed by award winning Newcastle-based architects, Jane Darbyshire & David Kendall (JDDK) Ltd, using design principles proven to be beneficial to residents with learning disabilities. The scheme includes design features such as wheelchair access, wet rooms, communal areas, fully accessible gardens and exercise areas, which encourage residents to stay active and allow them to remain in their homes for as long as possible. In addition, Willow Court also offers a ‘Concierge Plus’ service, providing on-site 24-hour emergency support, monitoring visitors within the building and helping residents access local community facilities and transport. The scheme was developed for Karbon by main contractor Galliford Try Partnerships North. 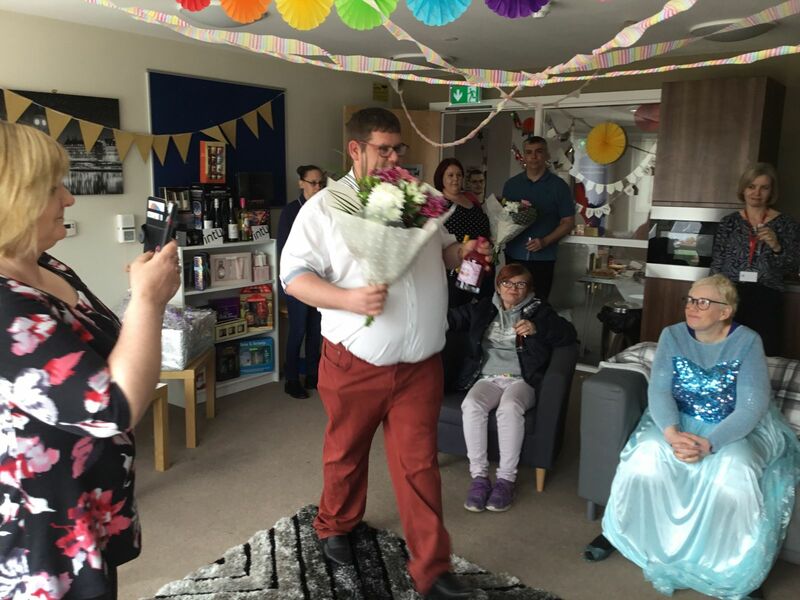 Christopher was the first tenant at Willow Court, Karbon Homes’ recently completed Concierge Plus scheme for people with a learning disability. Prior to his move, Christopher lived in private rented accommodation in the west end of Newcastle. His home was in disrepair, which was affecting his physical and mental health. Christopher maintained his tenancy there for nine years with some support from family before being put forward as a suitable candidate for Willow Court. The prospect of a new home close to his parents was very exciting for both him and them. As Christopher lived locally, he was able to watch the progress of his new home being built before being given his move-in date. Christopher takes pride in his new flat, which is beautifully decorated and he likes to spend lots of his time on his large balcony area, which overlooks the extensive communal garden. Concierge staff said: “Christopher has fitted in so well to his new home and is the life and soul of the place. He is always looking after his neighbours and loves entertaining everyone. It is obvious that his physical and mental health have both improved since moving to Willow Court in April this year. Christopher has fitted in so well to his new home and is the life and soul of the place. He is always looking after his neighbours and loves entertaining everyone. It is obvious that his physical and mental health have both improved since moving to Willow Court in April this year.